I can't believe that Christmas is just a little over 6 weeks away! 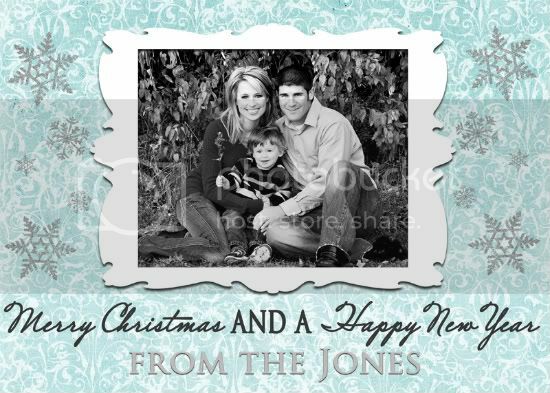 I guess it is time to start thinking about Christmas cards. I have come up with a couple designs, and plan on making even more. If you are interested in ordering Christmas cards just shoot me an email at hbeach111@yahoo.com and I'll explain sizes and prices. 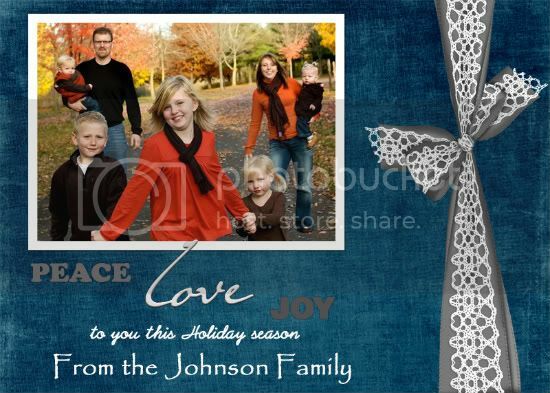 Then just let me know what design you like and what pictures from your session you would want to include. 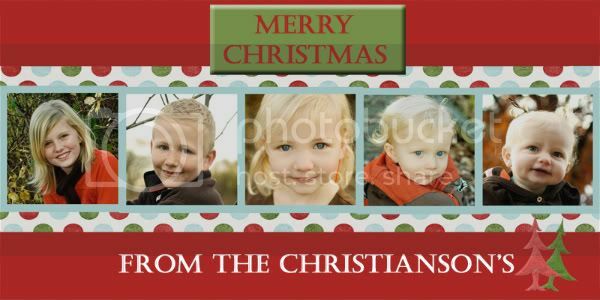 I can specialize the card with changing the amount of pictures on the card, the greeting, the text, colors, or even add some graphics. Here ya go! 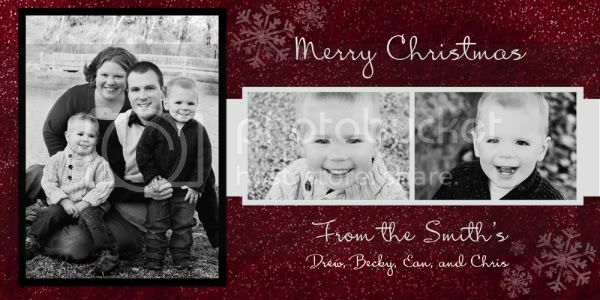 Cards here are shown in either the 4x8 size or 5x7, however other sizes are available.